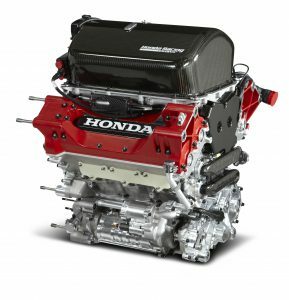 Looking For A Used Honda Engine? Plenty of good reasons that explains why you may be purchasing a Honda second-hand motor for sale. The top gasket might have ruptured resulting in problems to the motor, the motor might have seized or otherwise you where caught up in an car accident. When your automobile is the sole way of getting around, you have to get a new motor instantly so you can get back to regular life. Engine Finder can certainly any individual in South Africa easily find an motor for their Honda. Whatever Honda vehicle you use, whether it’s a Jazz or maybe a CR-V we’re going to support you in finding the engine you require! looking for a complete secondhand engine on a Honda B16A1 or A5 in the Johannesburg area. looking for a complete new or secondhand engine for a Honda Blade 1500, 1994 year model in the Cape Town area please. Looking for an engine for a Honda Ballade 1.5 pop up lights? I am looking for a complete engine for a Honda Ballade 160, 1.6lit, 1999 model, D16Y9. Looking for a Honda 1.5 12 Valve Carbureted engine. I am looking for one of the following. I am looking for a Honda XL125S 1980-1984 Engine to fit in a body that i have ,just for a farm bike. LOOKING FOR AN AUTOMATIC GEARBOX. Looking for a Honda 1600 dohc carbureted Balade engine. Do you have a complete engine for a 1996 Honda Civic 160i Luxline? I am looking for a complete engine for a Honda Civic, 1.6 Automatic, 1997 model, D16Y9. I am looking for a head. Looking for 500 to 600cc off road 4 stroke engine with electronic starter to build into go cart. I am looking for a complete engine for a Honda Ballade 1.5, 1985 model. Can you please give me a price on a complete engine and also a price on just the head for my car.Thanks so much. I am looking for a complete engine for a Honda Jazz, 1.2, 2004 model, L13A1. I need a used engine for Honda BRV. I am looking for a complete engine foe a Honda Ballade Luxline 1.6, 1998 model. Looking for a motor and need prices please. Looking 2nd hand or recon/ remanufactured engine. I am looking for a cambox with or without the head for a Honda Accord 2.4. I am looking for a cambox or a complete head for a Honda FRV 2lit, 2006 model. I'm looking for a complete b18b4 motor or at least a sub assembly. I require a used engine and other bits for a 1991 Honda Prelude, I am in Richards Bay, please call back with price and availability. I am looking for the complete engine for a Honda 180i VTEC, 1.8, 2010 model, R18A. Complete used Honda s2000 engine wanted. I am looking for a complete engine for a 250cc motorbike, any Chinese model. I need drivers side head lamp. I would prefer a re-manufactured motor with a warranty but would consider price of any replacement motor. Enjoy the worldcup 2018, amazon offers flash deals save 30% - 40% of items in the day. Automatically get in touch with an vast circle of motor companies You will discover a hefty circle of junk yards and engine importers around South Africa. As soon as you enquire with our company, your enquiry automatically goes to each and every seller listed with us. It really is a HUGE time saver! Telephoning one company to the next is certainly tedious! Honda HI13RT IndyCar V-6 Engine. This kind of means that you will have significantly better luck finding the engine you need. Without our help, you’ll likely merely phone the places that are local to you. By way of our company, you can easily find the engine you will require 100s of kms away, even though there was no suppliers local to you. Absolutely no Middleman Costs You inquire direct with our salvage yards. The scrap yard sells you the engine, this implies costs are not hiked up in either way. The scrap yard will choose to contact you or email you immediately. Get reached by traders via e mail or telephone You needn’t be shocked as soon as your telephone immediately begins ringing , mainly because all firms obtain your request all together! By a few offers, you can ensure that you get the hottest deal so you can get the engine that’s required and get your automobile repaired. Uncomplicated We take the fuss from locating Honda engines for sale through South Africa. Performing an request is in addition straightforward: just fill out a few fields inside the enquiry form (all information that you’ll probably know or perhaps be in a position to locate fairly easily on the engine), and then click submit. Determined by supply availability you should be obtaining responses from different scrap yards from across the region. Do remember we won’t only assist you in finding Honda engines, we uncover motors for every vehicle brands in SA. Our company’s assistance helps save an enormous amount of time, from keeping you from phoning every scrap yard separately.